Learn everything you need to know to get the most from your Lowrance Touch Screen unit, including Gen2 Touch, Gen3 and Elite Ti. Marine Electronics expert Lance Valentine walks you through basic setup, advanced tips and detailed menu navigation. 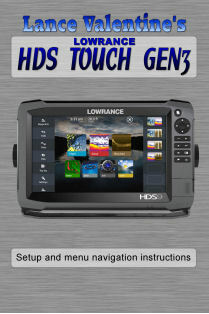 A must have for any Lowrance Touch Screen owner!